Field service management software refers, quite literally, to the system that manages a company’s resources when they’re off-premise, either en route to, or on-site at a client’s project location. Today, FSM software is employed by numerous industries whose business activities require the deployment of mobile agents or contractors for work assignments in the field. Augmented reality field service aims to change the nature of field service management. What all of these companies have in common is that they provide an off-site service or an off-site installation, repair, or maintenance of a product. They all have a mobile workforce that operates in multiple locations, performing a variety of services. These very fluid work environments increase the challenge of managing them exponentially. For example, monitoring field workers from a remote location may lower employee productivity, according to a 2013 experiment. The responsibility of managing customer expectations and ensuring optimal customer service for on-site interactions must also be prioritized, even though it requires a greater effort to carry out. And industrial equipment left underutilized on the field can be very costly to the business. These are just a few of the additional challenges that companies with field service operations deal with on an ongoing basis. The responses that the marketplace has offered to address these challenges have largely involved the development of software systems. In fact, the last 10 years have been particularly fruitful for FSM software producers, and the overall quality of the software has improved by the digital ton. The software now offers greater choices to businesses by offering them the option to deploy both on-premise or cloud-based systems. In addition, integration into backend systems like service management and billing. Modern software also integrates well into other critical functions/services like accounting, parts inventory and HR systems, creating greater cohesion between in-house management and off-site work projects. While the reach and efficiency of FSM solutions have improved significantly, many small businesses haven’t adopted the software in great numbers. Unfortunately, many are still relying on copious, under-productive, paper-based FSM methodologies, and aren’t benefiting from technological advances. Virtual reality is an extraordinary tool that envelops individuals in an alternative, digital (but based on real-life) environment. VR is usually associated with immersive glassware and headphones, but tactile technologies, such as specialized suits and gloves, are also available. VR is being framed as the next emerging trend that will offer companies the ability to not only think outside the box but also to see outside the box. Virtual reality technology is already making waves in the medical industry, as doctors and surgeons use the technology to plan their precise and exact movements ahead of surgery with just a VR headset and a specialized pair of gloves. According to many industry experts, both VR and augmented reality, in which the individual’s actual environment is not changed but enhanced, could have an important role to play in the future of field service and how business is conducted. Augmented reality is about providing a real-time look at reality and augmenting that look with on-demand data and various technological enhancements. Imagine going out into the field with a specialized pair of glasses, seeing a component to a complex water filtration system, and having your glasses scan and analyze that component on the fly to give you real-time data on that specific part — when it was installed, where you can get replacements and when it needs to be replaced. The power of AR and VR connects specialists to real-time data, guidance and the power of remote intervention. The answer to this question is complex, but one aspect is quite clear: The inclusion of this type of tech into the FSM sphere isn’t a simple method of increasing productivity or cutting expenses, but is actually restructuring the methods in which business functions are carried out. We will look at two examples of functions that have been impacted by VR/AR, how fieldwork has been transformed and how the quality and productivity of work has increased. The first of these falls under more than one job category. It involves the level of knowledge that a field technician would need in order to complete an assignment. Virtual or augmented reality provides the next information-age step that’ll take FSM beyond manuals on smartphones and paper. 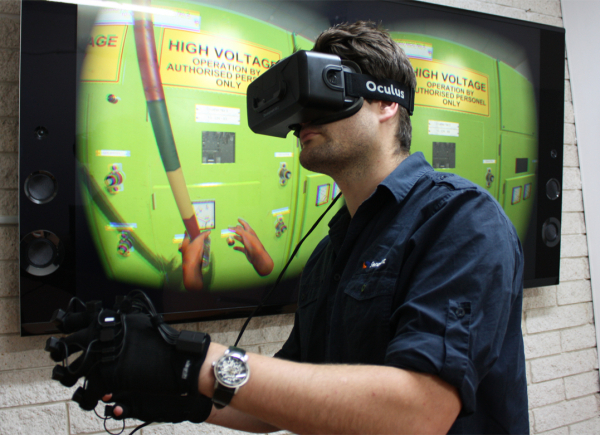 For example, the use of a special headset or smart glasses (such as Oculus goggles) could enable a field service engineer to virtually walk through the project scenario without ever leaving the main headquarters, simultaneously communicating with the technician in the field and advising him or her on the required steps. Consequently, in parts of the world where a skilled worker isn’t available, VR and AR will link less-skilled workers to a skilled technician back at headquarters who can take them through the process. The most detailed level of operation can be accessed by 3D or holographic imaging so that instructions are communicated as though the engineer was present, with instant feedback on the result. The cost savings are significant. Not only do employers gain the ability to hire less-skilled technicians for on-site work while being supervised by a single skilled technician, but they also gain the ability to manage and guide workers thousands of miles away, reducing the expense of flying experts out to every complex job. In addition, whereas previously at least two engineers were needed at every work site to ensure quality control, the use of this technology eliminates the need for engineers to be physically present at the work site, further reducing operating costs. The second industry function that will be revolutionized by this technology is training. As a training tool, its ability to place technicians and engineers into the environment they’re learning about is without comparison. Its potential as a highly detailed and highly visual training tool will simplify and deepen the student’s understanding of complex tasks. VR and AR technologies are already being deployed and evaluated by members of the services industry. According to a ZDNet interview with Mark Brewer, Global Industry Director for Service Management at IFS, DAQRI AR glasses can be used to help companies interact with 3D models of equipment and assess analytics. Siemens eHighway system project recently used Microsoft’s HoloLens to provide remote workers with the tools they need to check off virtual lists, view repair diagrams and more. Technology is now married to the cloud platform for real-time information exchange. Smartphones and tablets enable service technicians to perform on-site data entry (as opposed to returning to the office to enter data) and real-time analytics. In addition, the adoption of Software-as-a-Service (SaaS) permits smaller businesses to have access to a full suite of FSM software through a monthly subscription and, therefore, can compete against large companies with in-house software bought up front. As businesses like Uber provide examples to customers of cloud-based real-time scheduling and tracking, our expectations for timely delivery of products and services have become much more sophisticated. One study showed that 89 percent of customers would like to see the Uber-model adopted for technician scheduling.  When technicians are held up for a service delivery, they can employ an FSM to update customers, explain changes in the scheduling and reschedule the appointment to a later time, if necessary. FSM solutions can also make fleet management much more efficient. For example, GPS-linked software on snow plows can tell management where the snow plows are located, what streets have been cleared and where snowplows can begin clearing snow. FSM can also provide value in other ways. Access to instruction manuals and diagnostic tools better enable service workers to perform their work. Contractors can be integrated into asset management and evaluations. Digital data entry has proven far more accurate in logging hours and in tracking job completions, and digital record keeping can also serve as a proactive tool for business audits. While the field service industries are increasingly adopting FSM software as partial or whole solutions, as customized suites purchased up front or as SaaS, the very recent introduction (circa 2015) of a new player in the field of technology has changed our expectations for FSM. Field technicians require the best tools to keep up with rising customer expectations at all levels of interaction, and a software solution that targets service delivery by making it faster, smarter and more personalized goes a long way to ensure that end. The benefits of FSM software are many, and as the use of cloud-based business solutions become more affordable and more accessible through mobile devices, FSM will continue to grow in importance. What is now already a multi-billion dollar industry will continue to expand into 2019 and beyond. It’s important to note that not all FSM solutions are designed to provide the same level of support and intervention to all industries and across all user intent. In fact, individual systems can offer a wide range of capabilities and functions to choose from, depending on the industry and the level of intervention that’s expected. After all, field service businesses come in all shapes and sizes. As in most cases, sound software selection ultimately depends on the circumstances and conditions that are unique to your business needs. FSM software is no exception. If your business goals include reducing expenses and improving productivity, then achieving these goals will be best served by an FSM platform that best aligns with your day-to-day activities. While we’re tempted to think of VR and AR as far-off realities, the largest cloud-based solution providers are already investing in these platforms. Facebook has purchased Oculus VR, and Google has Magic Leap. 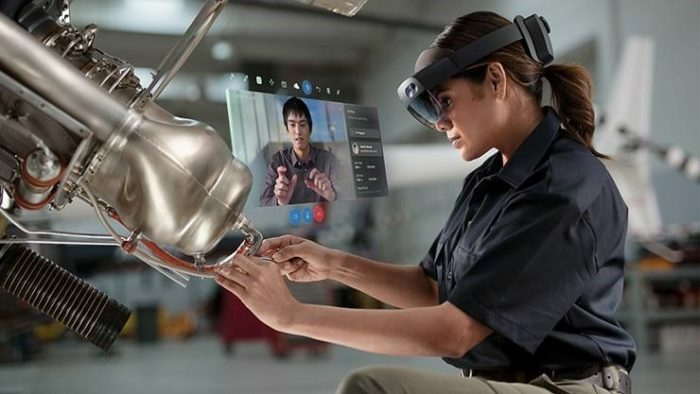 Microsoft is now also promoting its Hololens platform with Hololens 2, and in the consumer sphere, insider leaks from Apple show the tech giant is working on building its own smartphone driven AR glasses. Like all seismic shifts in technology, it’s difficult for small to medium enterprises, and even large, multinational ones, to see any ROI for VR and AR in FSM, at least in the short term. However, the collaborative VR and AR service model, as well as VR training, will prove to be the new models of how field enterprises will operate sooner than we expect. So put on your VR glasses and prepare for the future! Where else do you anticipate seeing VR and AR having an impact on enterprise-level software?